Aquaculture of high-value finfish species, such as groupers, is an industry of increasing importance throughout the Asia–Pacific region and one that provides a livelihood for small-scale farmers throughout Asia. In the past, a major constraint to the expansion of this industry has been the limited supply of ‘seed stock’—small fish that are subsequently grown out in sea cages or ponds before being sold to market. Research undertaken by scientists in Australia, Indonesia and the Philippines has been instrumental in improving the technology to produce marine finfish seed stock in hatcheries. The Australian Centre for International Agricultural Research (ACIAR) has also contributed significantly to this outcome by funding collaborative research between institutions in the Asia–Pacific region. These research findings have now been adopted by commercial hatcheries, particularly in Indonesia, but also Australia and many other countries. Millions of tiger grouper seeds produced by Indonesian hatcheries have been marketed not only to the domestic market but also exported to neighbouring countries including Singapore, Malaysia, Vietnam, Thailand, Taiwan, Hong Kong and China. This developing industry makes an important contribution to farmers’ incomes, job opportunities and export earnings. 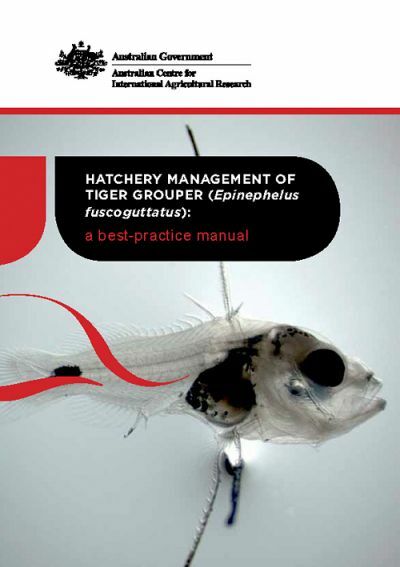 This manual provides guidelines for the production of tiger grouper fingerlings. It outlines best-practice methods for broodstock maintenance, spawning, egg incubation and rearing of larvae through to 2–3 cm, fully metamorphosed juveniles. The guidelines have been developed from the outcomes of ACIAR-funded research, as well as from the experience of Indonesian, Philippine and Australian scientists and commercial hatchery operators, and published information. 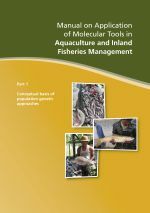 The hatchery manual provides a valuable aid for improving the availability of grouper seed stock to support sustainable small-scale aquaculture in the Asia–Pacific region.